Once we have looked recently at the Bobby backpack it’s worth to take a look at another, completely different backpack concept. While Bobby stands for the safety of your backpack contents, the makers of VERTEPAC have more the safety of you own back in focus. Basically, backpacks have not really developed in the last 1000 years. Ok, eventually someone came up with the idea that a waist belt could be good for the comfort. Nevertheless, most of the load lasts usually still somehow on your shoulders. And even if you have your backpack properly adjusted and the weight is carried by the hip, it is still limitating the freedom of movement due to the two carriers. 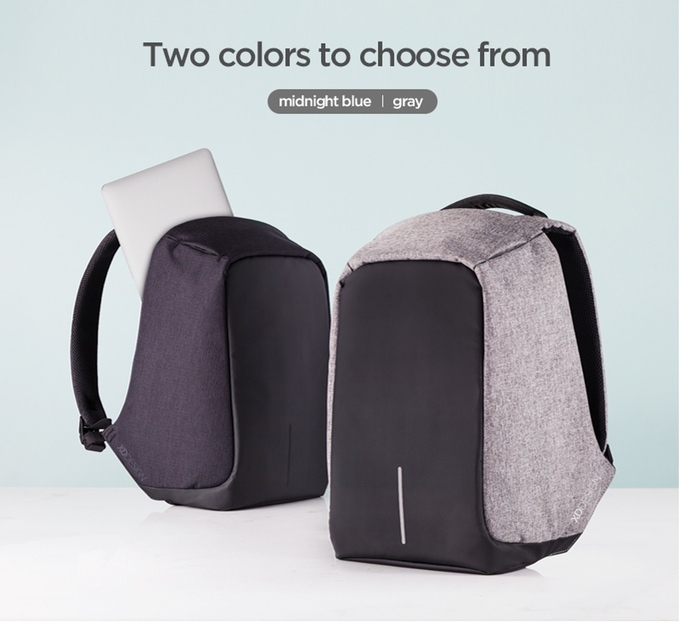 Well, backpacks actually does not really often be innovative. Somehow you’ve seen it all before. From solar panel or hardcase solutions there is already everything. Somewhere I had even seen a backpack with electric drive. Did not look very practical. Why do I now report about the Bobby backpack from XD Design? Individually seen for themselves the features that the Bobby offers, certainly art not at all innovations that beats one out of the socks. But the bag is a really good combination of features coupled with great design. That’s good, because in my opinion there is no unique killer feature that makes a backpack a great product. A complete package of features wins here and Bobby could have managed this.